The problem of inference in Bayesian Normal mixture models is known to be difficult. In particular, direct Bayesian inference (via quadrature) suffers from a combinatorial explosion in having to consider every possible partition of n observations into k mixture components, resulting in a computation time which is O(kn). 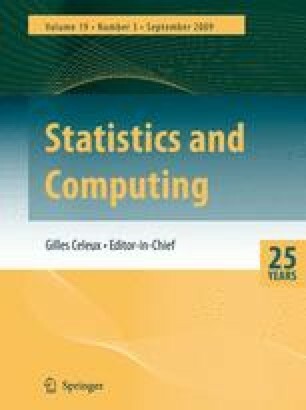 This paper explores the use of discretised parameters and shows that for equal-variance mixture models, direct computation time can be reduced to O(Dknk), where relevant continuous parameters are each divided into D regions. As a consequence, direct inference is now possible on genuine data sets for small k, where the quality of approximation is determined by the level of discretisation. For large problems, where the computational complexity is still too great in O(Dknk) time, discretisation can provide a convergence diagnostic for a Markov chain Monte Carlo analysis.